M4k3 mods: [REL] GTA V Cheval Fugitive v2. [REL] GTA V Cheval Fugitive v2. Ok, I am back. Finally made Fugitive v2. Cheval Fugitive from GTA V converted to GTA San Andreas and edited by M4k3. 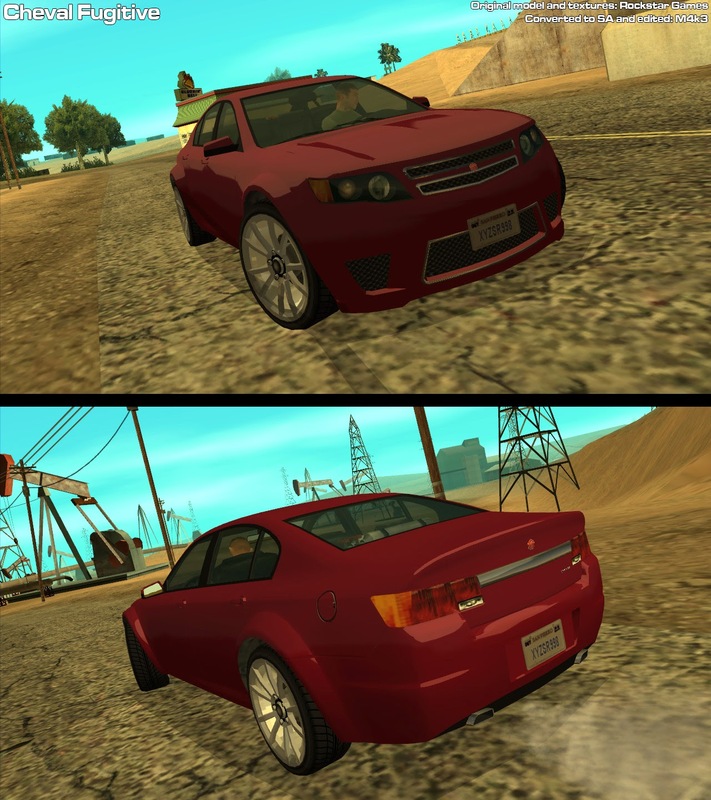 2 versions: ImVehFt+Active Dashboard adapted version and GTA SA styled (SA lights) version. -GTA SA styled version (lower DFF and TXD size, GTA SA styled scratches, glass, lights; TXD isn't locked, should work on SA mobile). 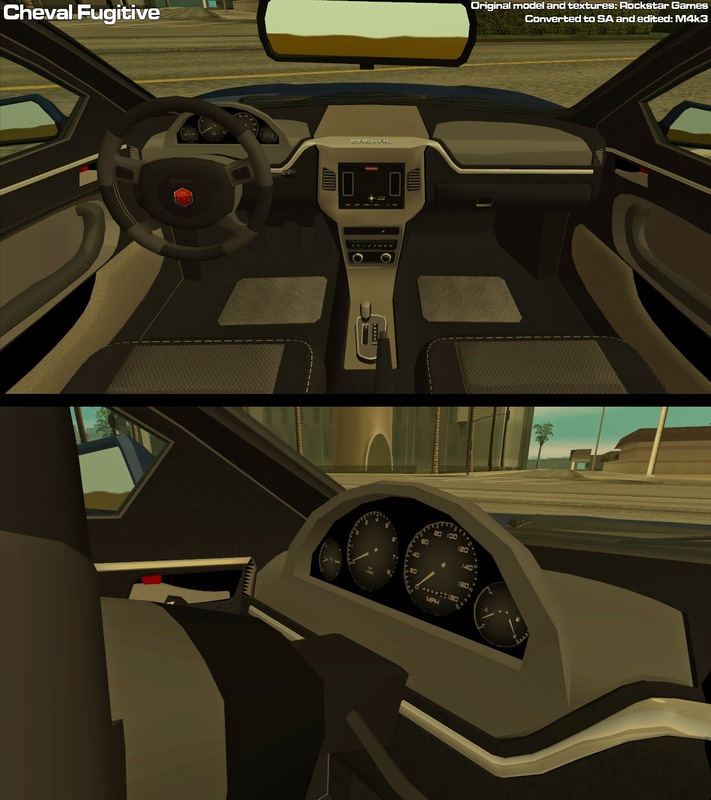 -ImVehFt and Active Dashboard 3.2.1 adapted version is included too (detailed interior, custom colours, fully working lights, break hubs, working dashboard gauges and steering wheel; textures have mip mapping). 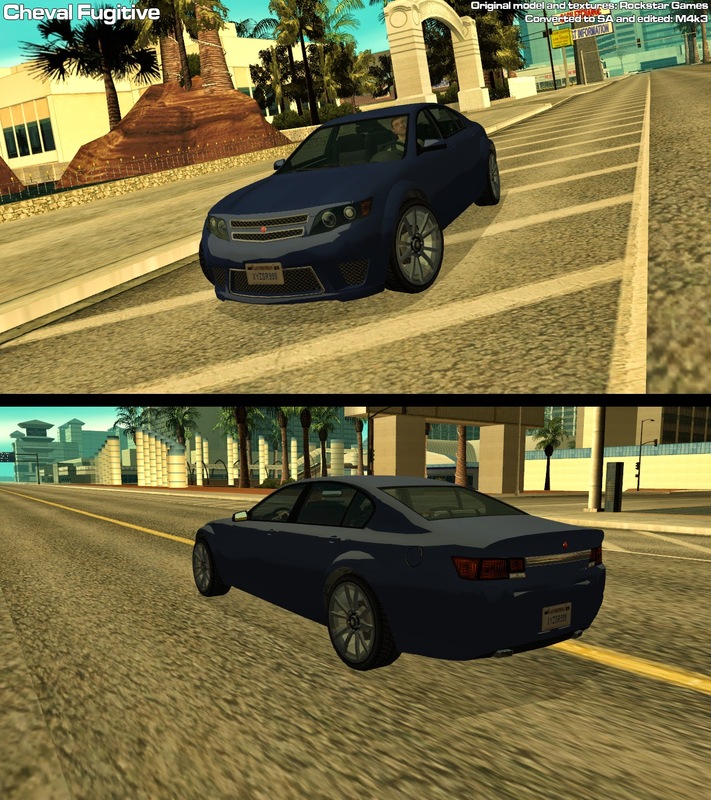 -Both versions use xvehicleenv128 (UV2 reflection; also known as SA styled reflection) and vehicleenvmap128 (chrome reflection) reflection textures from vehicle.txd. -Both versions work in SAMP. -1 (3 - ImVehFt version: body -1 ,wheels -3, windows tint - 4) colours support. really like what you did with this car, could you make a 4 door car intro a 2 door car?